Knowing the history of a place makes you feel more connected to that area in more ways you can ever imagine. If you are not familiar with Ottawa history, then, it is about time that you discover what lies in the past of this interesting city. It was in 1613 when Samuel de Champlain visited the very area where Ottawa stands today. Soon after, the Ottawa River became the major transport artery. But, the permanent settlement didn’t start until Philemon Wright has founded the small town which he named Wrightstown, which is currently called Hull. By 1826, the Rideau Canal linked the location of the current day Ottawa to Lawrence River. After that, John By gave his own name to the brand new settlement he established there. It was named Bytown, which then prospered in the trade of lumber. In year 1854, the railway was able to reach Bytown. When 1855 came, Bytown then changed the name into Ottawa when this became incorporated as a city. In year 1857, Queen Victoria herself made Ottawa the official capital of Canada. During that time, the city was seeing a rapid development, with the College of Bytown officially founded in year 1848 before its name was changed into The College of Ottawa in 1861. It then became Ottawa University in 1866. The historic building of Laurier House was established in 1878. 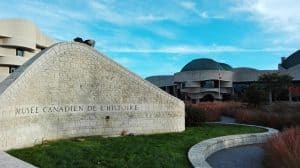 The Canadian Museum of Nature, on the other hand,, dates back to 1856, while the National Gallery of Canada was officially founded in year 1880, which was the same year when the Canadian War Museum was built. From year 1893, the streets of Ottawa were already filled with electric streetcars, with Bytown Museum opening its doors in 1917. A severe fire destroyed Hull and Ottawa in April 1900, engulfing most of the houses in flames. 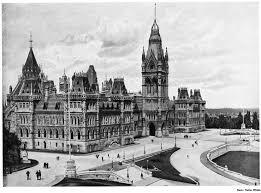 Ottawa’s Parliament Buildings were built between the years 1859 through 1866. But these too were destroyed in February 1916 because of a fire. The buildings were established again, and the new buildings became available for the parliament’s use for the very first time by 1920. It was in 1927 when Peace Tower was built to commemorate the Canadians who gave their lives during their First World War. In 1908, the Mint officially opened in Ottawa, becoming the Royal Canadian Mint by 1931. In the 20th century, the game became Ottawa’s major employer. During the later part of 20th century, high tech industries served a crucial role in the city’s development, together with tourism. In 1967, the Museum of Science and Technology opened its doors to the public. By 1989, the Museum of Civilization relocated to a brand new building. Ottawa is also regarded as an important shopping center. The Billings Bridge Shopping Centre, Carlingwood Mall, St Laurent Centre and Bayshore Shopping Centre, opened in 1954, 1956, 1976, and 1973 respectively The Rideau Centre also followed suit in 1983 and when 2001 came, O train started to run in Ottawa. To this day, Ottawa remains to be a flourishing city that is flocked by local and international businesses and tourists alike. Share the post "Ottawa History"